Fits: 2012-2015 RZR 570, 2008-2014 RZR 800,2009-2014 RZR 800-S, 2010-2014 RZR 800-4, 2011-2014 XP900,2012-2013 RZR XP900-4 (will not fit the XP1K or 2015 RZR 900). 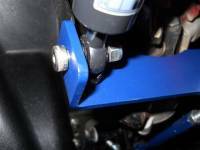 Designed to be used in addition to your stock parking brake. 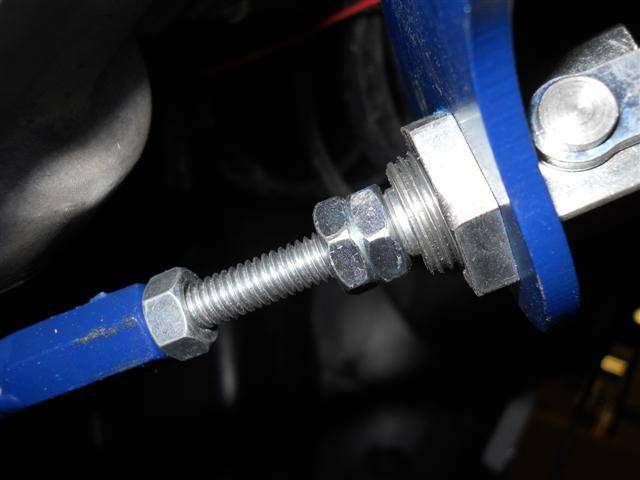 Allows for adjustment and your brake pads wear. Powder coated black (shown in blue for the pictures only). Will work with our power steering, Electra-Steer, Unisteer, and WickedBilt Power Steering. *Note: will also work with factory power steering, you will just need to remove the plastic cover. Install in about 15 minutes. NOTE: the brake handle could be blue or Red depending on availability. 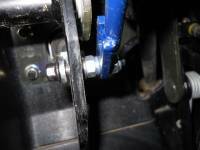 Avoid damage to your transmission that is common when using only the stock parking brake. The stock parking brake locks your transmission, making it very hard to get out of park when on an incline. 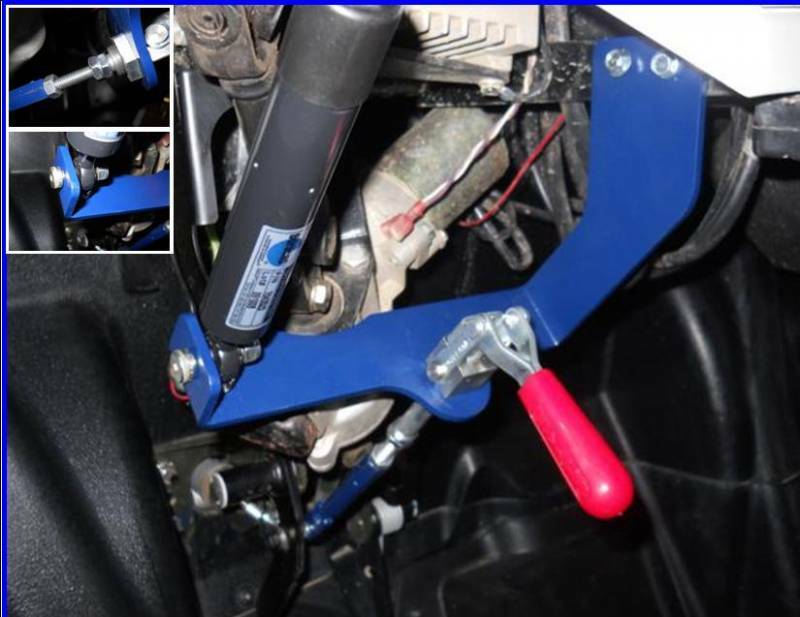 This simple parking brake linkage can be added to your RZR to make disengaging from park very easy. It simply uses a cam style lock to hold front and rear brakes on, eliminating transmission damage. NOTE: The bracket in the picture is powder coated blue for picture visibility only. You will receive a black bracket. Also, it is pictured with WickedBilt Power Steering. 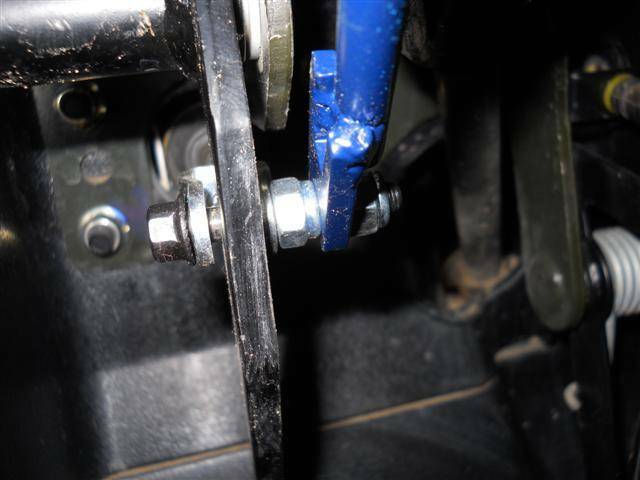 When using Polaris Power Steering, the plastic cover may need to be modified or removed.